Prepare to be amazed when you experience the Bible come to life! This photo features Samson at Branson's Sight & Sound Theatres. In Branson, we believe life should have more encores. For more than 50 years, live shows (and encores, of course!) have been a staple of Branson vacations. From rock and country music to hilarious comedy and amazing acrobats, Branson offers live entertainment variety to suit every taste! Morning, afternoon and night, Branson offers a variety of entertainment options for every member of the family, including comedy shows, dinner shows, shows for kids and even shows on boats! 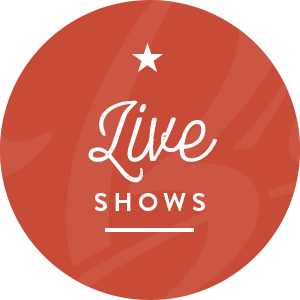 Explore Branson’s upcoming shows to create your personal lineup.